Fringe is making a comeback and of course I’m jumping on that wagon. 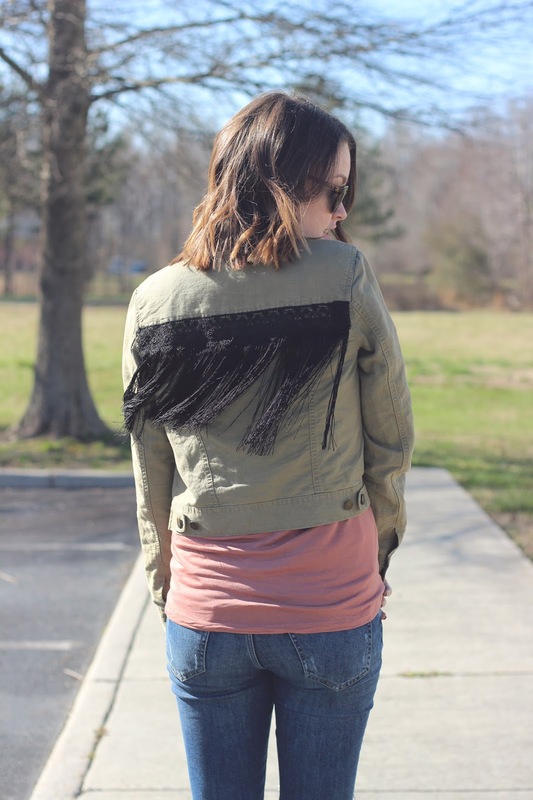 I’ve always wanted to use fringe in a project and I also wanted to do something fun with this jacket. Put the two together and I made a fun diy. Today’s project is a favorite of mine, but I’m sure I probably say that about each one I do. 1. 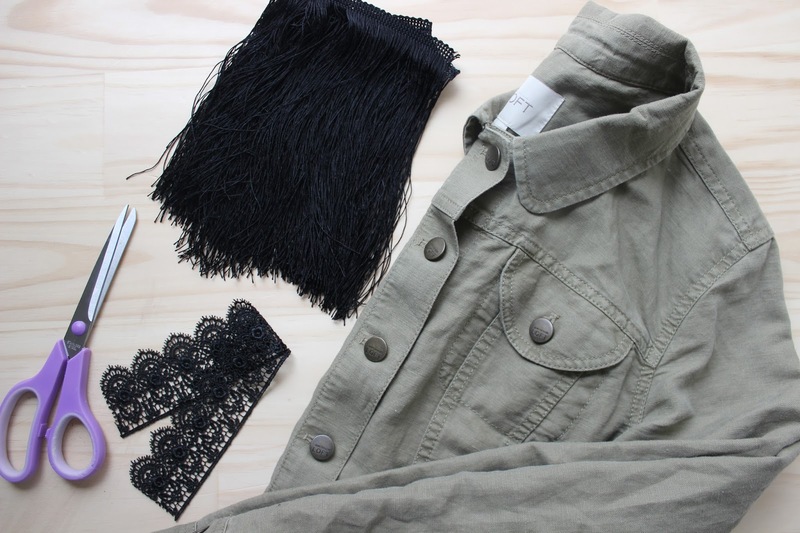 Cut the strip of lace to length desired. I cut a little longer than needed to hide the seams. 2. 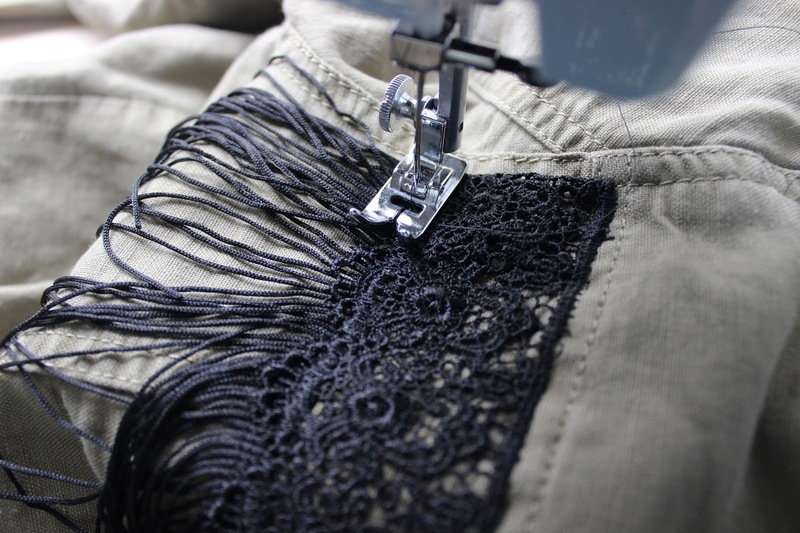 Fold in the edges of the lace and pin down. 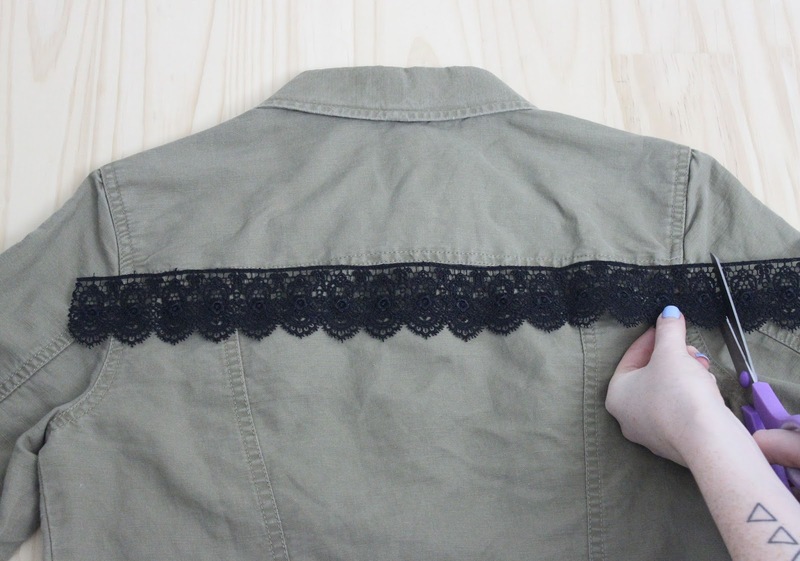 Sew the top of the lace to the jacket with a zig zag stitch. 3. 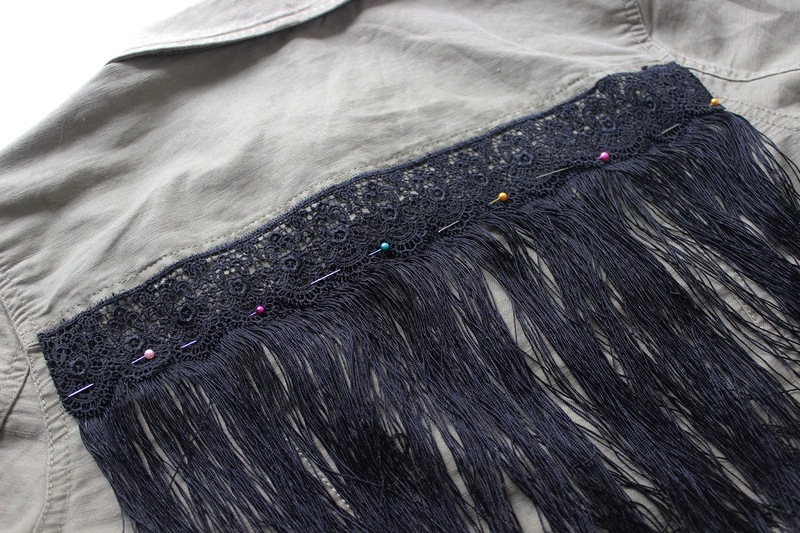 Now pin the fringe to the very bottom of the lace. 4. 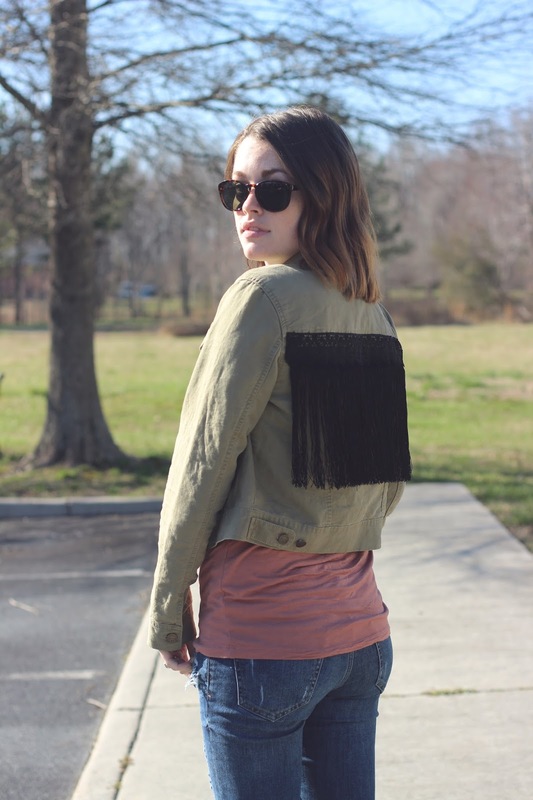 Sew the fringe to the jacket with a zig zag stitch. Thanks so much for reading and happy crafting! 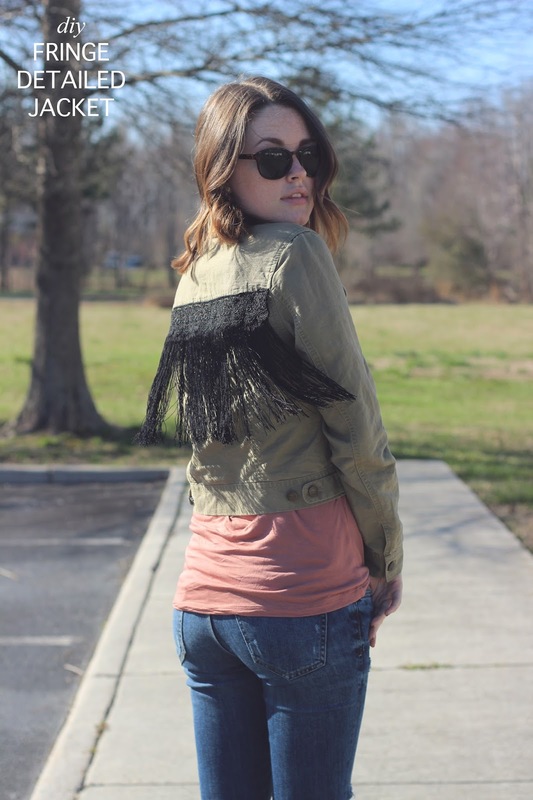 What a fun blog post! I hear Tim's expression in your voice. I'm sure Matisse would have gotten out of Dodge too!